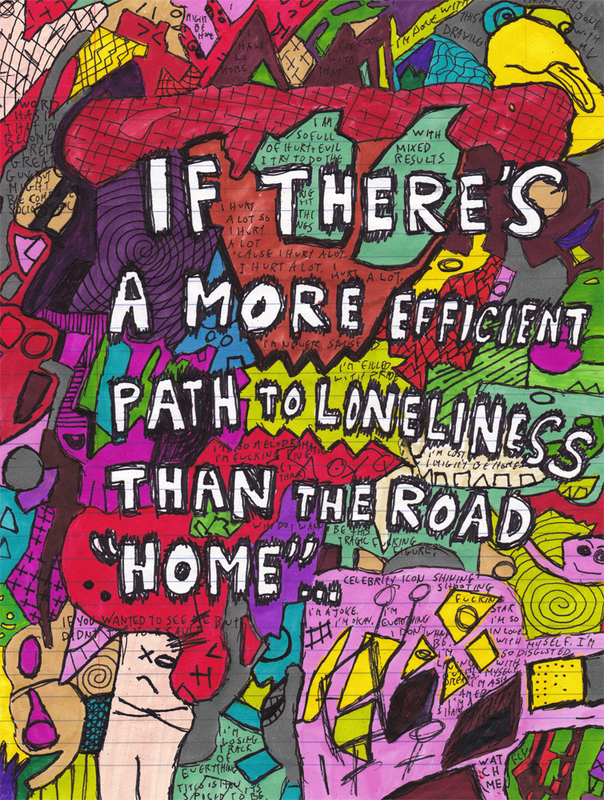 “The Most Efficient Path to Loneliness.” 1/22/14. Ink. 7¼x9½”. Drawn in Sarasota, FL on January 22, 2014. Read the story of the piece in my blog entry for 1/22/14.